20 X 20 G&W graduation party tent used for a high school graduation open house. 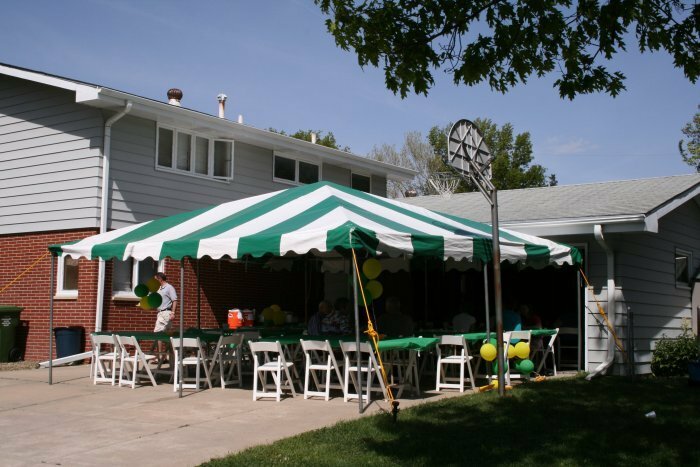 rent one of our tents and have a wonderful time. Spend the time you would have spent cleaning out the garage relaxing.